We've brought back the 2016 World Championship Cheese Contest winner! Visit your nearest location for details and book a table today! Cheese fondue got its start as a hearty dish of the Alpine Swiss, but now is savored all over the world. It began with Switzerland's local cheeses like Emmenthaler and Gruyère Swiss, but cheese fondue options have expanded to incorporate a variety of cheeses and flavors to make endless, mouthwatering combinations. At The Melting Pot fondue restaurants, you can celebrate this cheesy holiday by enjoying a variety of cheese fondues with tempting cheeses such as cheddar, Swiss, fontina and Butterkäse. Savor the Spinach Artichoke Cheese Fondue or go the Classic Alpine route. Dip into your cheese fondue with seasonal vegetables and artisan breads or go all out with our selection of hand-cut premium cured meat Artisanal Dippers. The cheesy goodness of cheese fondue is not just celebrated but lauded on April 11! The Melting Pot has been known to celebrate National Cheese Fondue Day with highly-coveted special offers for fondue fanatics. Make sure that you've signed up for Club Fondue to stay in the know. Follow The Melting Pot on Facebook, Twitter, Instagram and Pinterest for even more cheesy fun. So how will you pay homage to melted fromage when National Cheese Fondue Day rolls around? Triple dip everything you eat in cheese? Enjoy every cheese fondue on The Melting Pot's menu? Whether you prefer to dip, dunk, twirl or swirl, any way is the right way to pay tribute to the deliciousness that is cheese fondue. 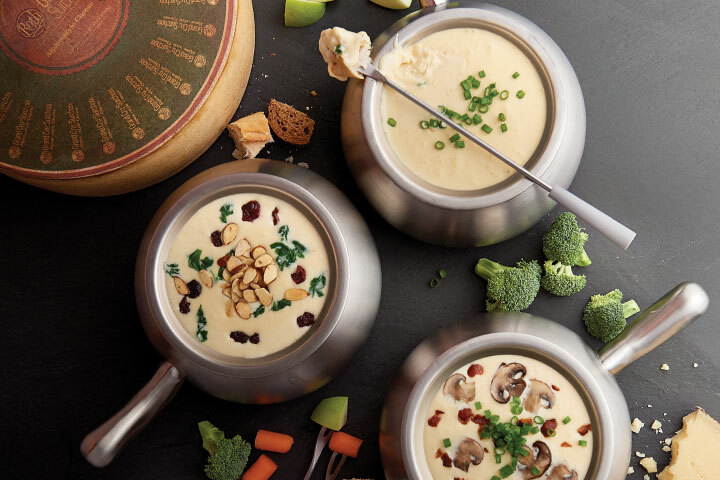 If you want to host your own cheese fondue party at home in honor of National Cheese Fondue Day, whip up some Traditional Swiss or Zesty Cheddar Cheese Fondue with recipes from The Melting Pot's fondue cookbook. 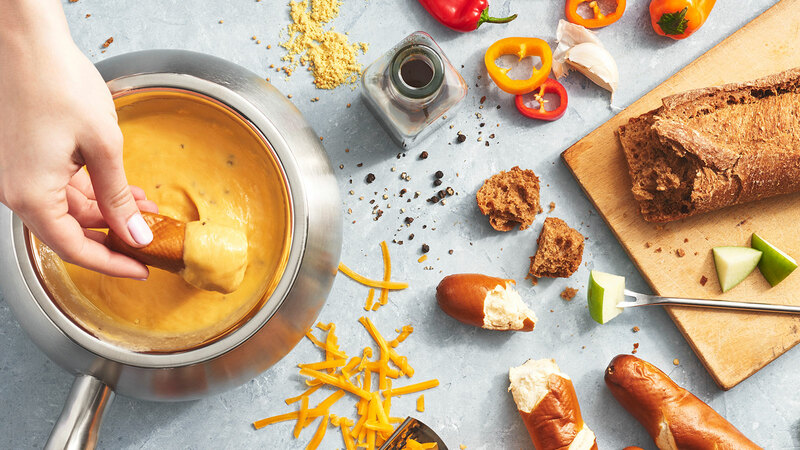 So for the love of cheese, savor every gooey bite of your cheese-covered bread, veggies, apples or any other fondue dipper you fancy on National Cheese Fondue Day. We haven't found too many foods that don't pair well with cheese. It's okay to experiment, especially on a day when we think everything should be covered in molten cheese! Go ahead and cheese it up!